The North States Supergate Deluxe Décor spans widths up to 72 inches. Sometimes the space you need to portion off for your pet has an extra large doorway or gap that makes it impossible to barricade with a standard pet gate. Fortunately there are extra wide pet gates that address this need. 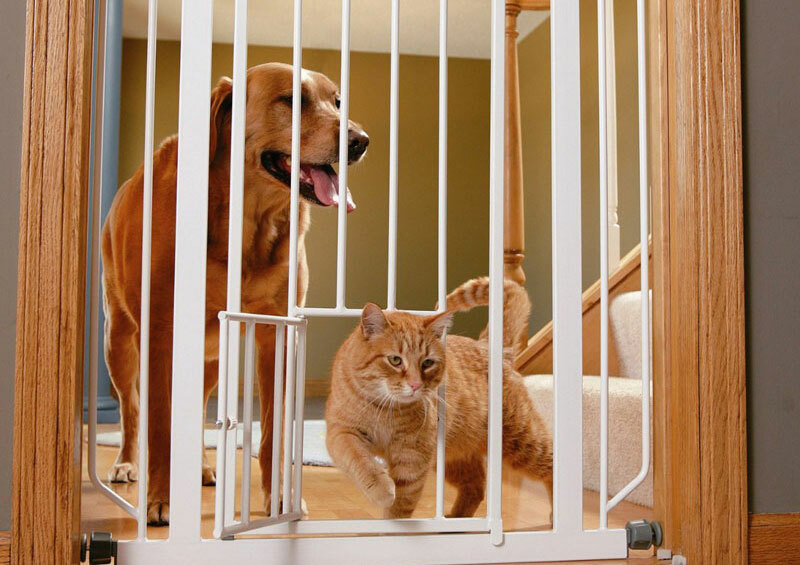 Standard pet gates are designed to fit the width of an average door, which is 34 inches. This width just doesn’t cut it for use in other parts of the home that may need to be closed off. 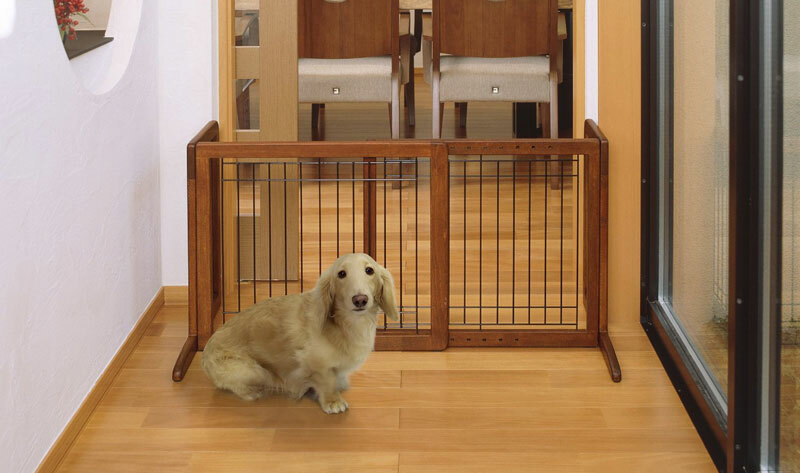 An extra wide pet gate is needed for use in wider hallways, or of course in open concept living areas. All of the extra wide gate models have adjustable widths so they are able to adapt to fit many openings. 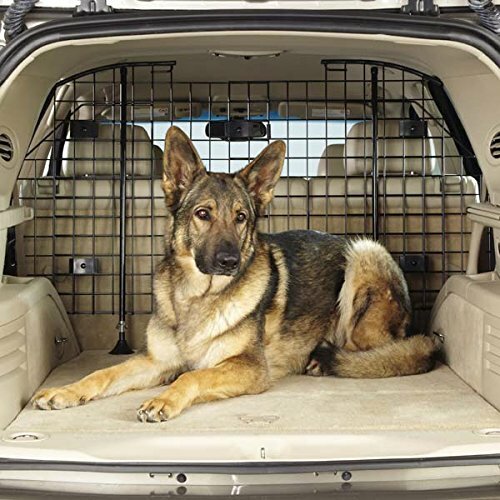 On this page we examine some of the best extra wide pet gates available to hopefully help make your search a little easier. Hopefully the comparison chart above is useful in getting a quick sense of the variety of extra wide pet gates available at various price ranges. Below we’ll highlight a few of the most popular options and go into more detail about their features. 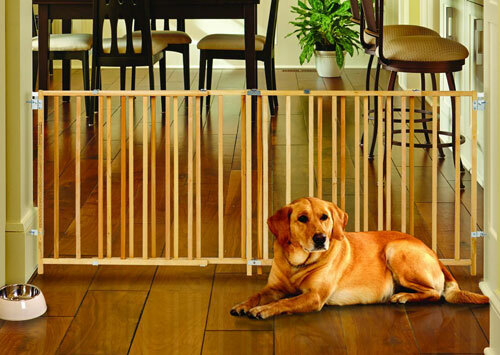 The Regalo 192-Inch Super Wide Gate and Play Yard is the king of width as far as pet gates go. This gate is composed of 8 removable and configurable panels to meet an array of needs. 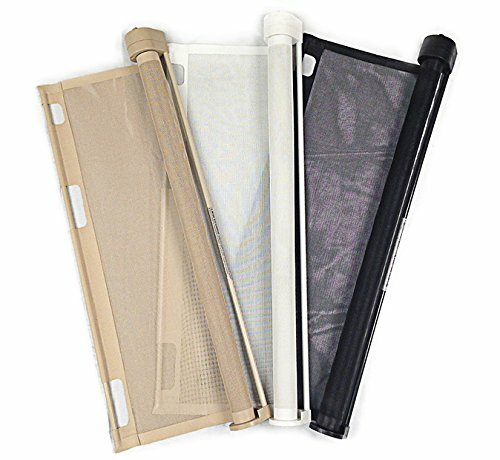 It can be used by mounting to walls with hardware, or it can be used as a free standing barrier. At full width this gate spans an unheard of 16 feet. 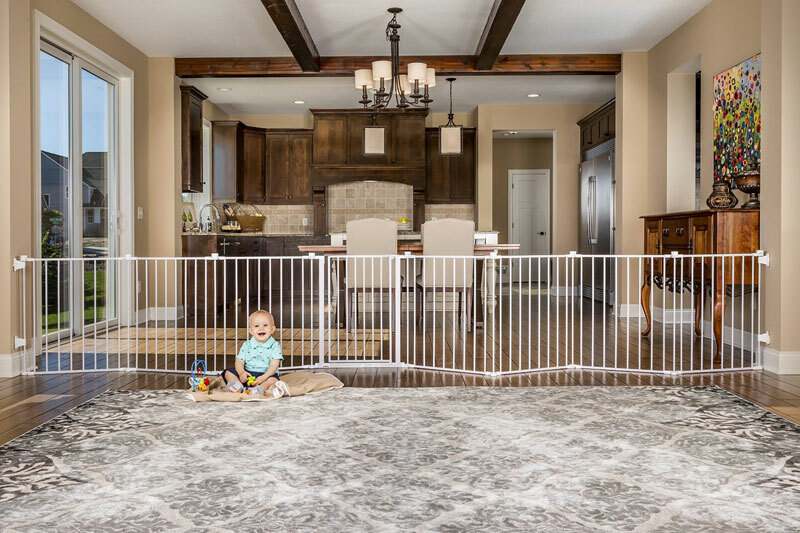 In addition to functioning as a gate, it can also be configured to form a 19 square foot play pen. Durability was a primary concern for the design of this gate as well. It features an all-steel frame that’s meant to stand up to wear and tear. 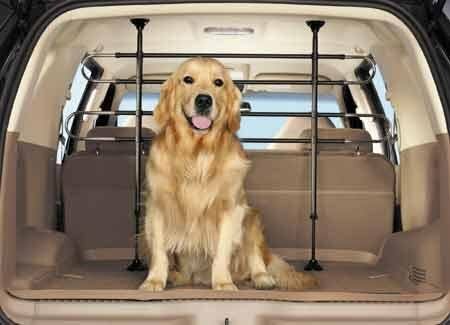 Lastly, this model is PVC-free and meets the safety standards set by the American Society for Testing and Materials. The North States Supergate Deluxe Décor Metal Gate is not only a great pet gate functionally, but it’s actually stylish too. Lets go over function first. This gate is sturdy owing to its metal construction. Its adjustable design enables it to span distances from 38.3 to 72 inches wide; that’s a maximum width of 6 feet! This model features an extra wide gateway as well, giving users 25.5 inches of space to pass through when the gate is open. It stands 30 inches high. Another virtue of this model is its flexibility in set up. Because of the nifty pivot points on the gate panels, this gate can be mounted straight across or angled. Now for the style points. An arched gateway panel lends quite a bit of elegance to this design, and the matte bronze finish makes it look even more high end. 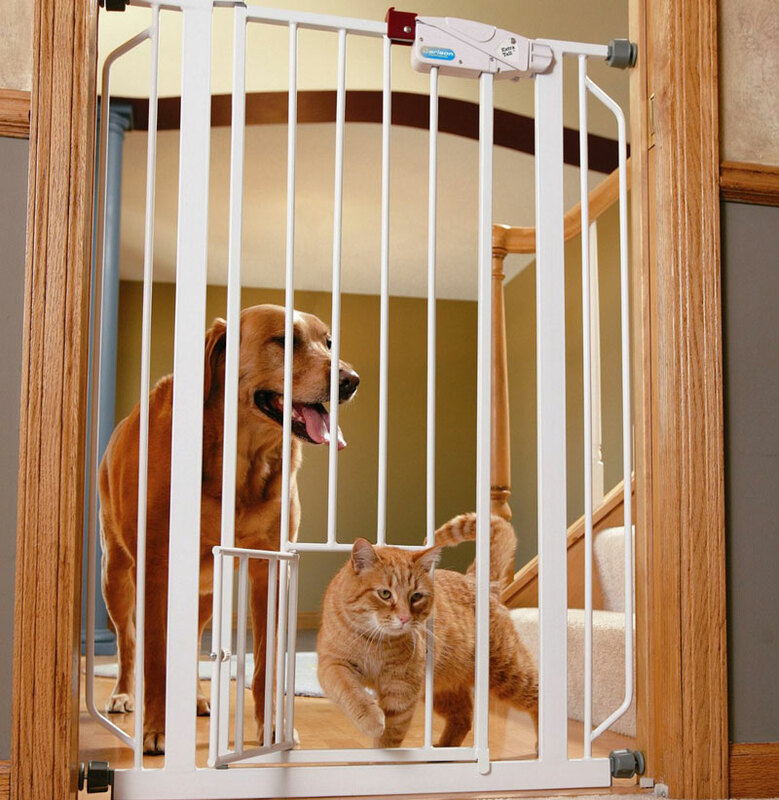 This is a rare pet gate that won’t cramp your home’s style. If you’re interested in seeing more gates like this one, feel free to check out our article on metal walk through gates. The Richell Wood Freestanding Pet Gate is not your typical pet gate. This freestanding model requires zero installation and can easily be moved as needed. The width can be adjusted for use between 39.8 and 71.3 inches. This model makes use of a wide base to increase stability and prevent the gate from tipping over. Note that this model stands at just over 20 inches tall, and is targeted for use for cats or small-to-medium sized dogs. Constructed out of beautiful hardwood and metal, its design creates very clean, modern lines. It is available in two wood finishes and one white finish so you can choose the color scheme that best matches your home.